Weber introduced new methods of measuring sensitivity, establishing perception as an experimental rather than an observational discipline. Working initially with the discrimination of lifted weights, Weber demonstrated that the smallest appreciable difference was a constant fraction of their actual weights. “It appears from my experiments that the smallest difference between two weights which we can distinguish by way of feeling changes in muscle-tension is that difference shown by two weights roughly bearing the relation 39 to 40, i.e. when one is 1/40 heavier than the other.” This was so irrespective of the absolute weights compared. Weber further showed that different fractions resulted from passively held weights, visual judgments of the lengths of lines, and auditory discriminations of pitch. That is, a general law of discrimination was proposed that applied to all modalities but with fractions specific to the judgments involved. Weber did not provide a generalized mathematical description of what we now call Weber’s law; this was left to Fechner. Weber noted that there were clear individual differences in sensitivity, but judgments of a particular individual tended to be constant. He did much more than compare lifted weights. He introduced the use of callipers to measure two-point thresholds on the skin surface and found that sensitivity varied enormously, with greatest sensitivity around the lips and least on the trunk. The magnitude of the thresholds depended on the area of the skin stimulated, which led Weber to introduce the concept of sensory circles - areas on the skin surface that can result in the stimulation of a single peripheral nerve. He developed a method of delayed comparison, varying the interval between presentations of the first and second stimuli: “In this way one can measure and quantitatively express the clarity of the memory for sensations as it decreases from second to second. As we rarely have the opportunity of measuring such mental processes, I commend these experiments to the attention of psychologists”. Temperature and kinesthetic sensitivity were also examined in Weber’s two books on touch De Tactu (1834) and Der Tastsinn (1846). His work represents a distinct shift in the psychology of perception from philosophy towards physiology, from speculation to experimentation, and from qualitative to quantitative approaches. Weber was born in Wittenberg where he studied medicine, moving on to take a post at Leipzig University. Two of his younger brothers, Wilhelm Eduard and Eduard Friedrich, made their marks in physics and physiology, respectively, and all three collaborated on the early studies on touch. Ernst Weber held the chairs of Anatomy and later of Physiology at Leipzig. 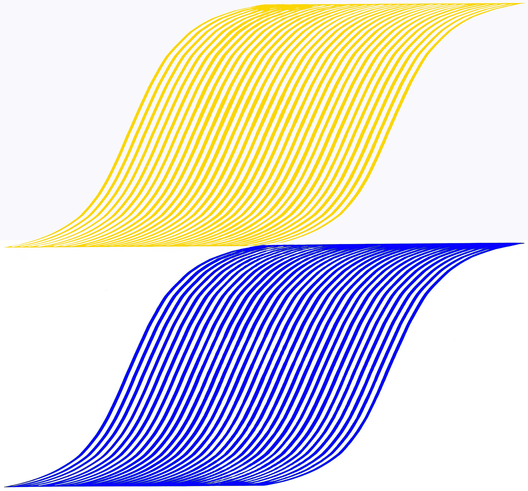 His portrait is carried in a motif representing a sequence of psychometric functions - the curves relating the detection of stimulus differences to stimulus intensity. 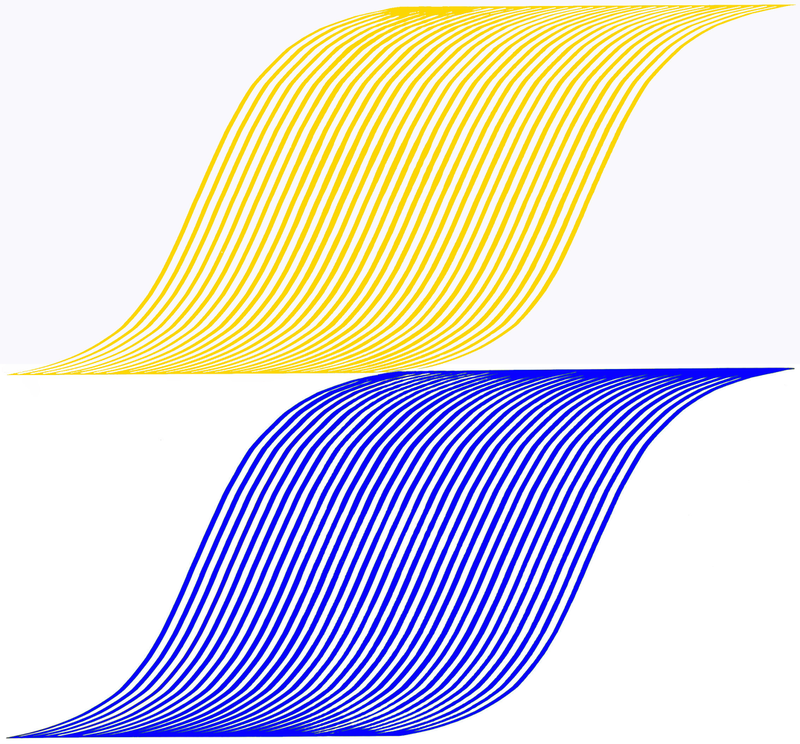 He is portrayed twice close to the upper and lower thresholds for discrimination and it is from such curves that the Weber fraction can be determined.